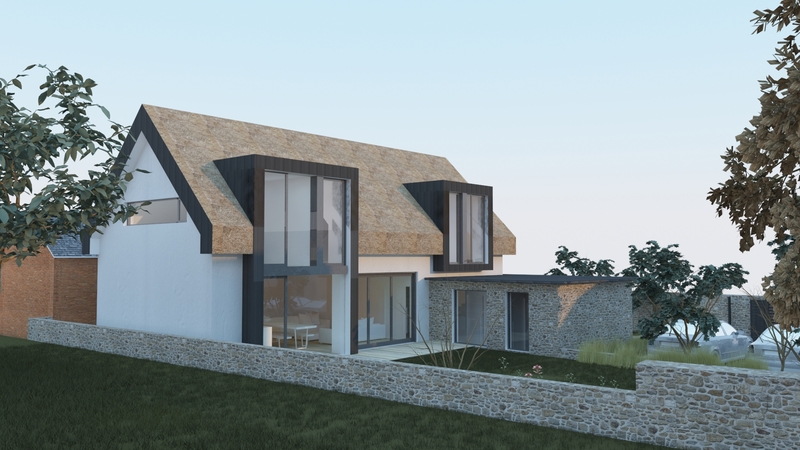 Our brief was to create a new bespoke 4-bed home within the grounds of listed building. 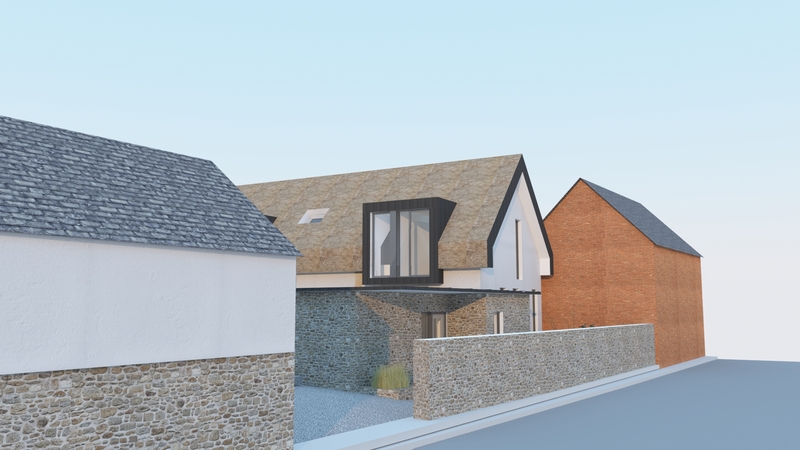 It needed to fit into the street scene and have views over the westerly facing, open space to the rear. The plot fronts onto the High Street of this popular and much loved village in a conservation area. At the rear of the site, there is a well used large public open space. The historic street scene currently features many properties, built from stone, render and thatch. 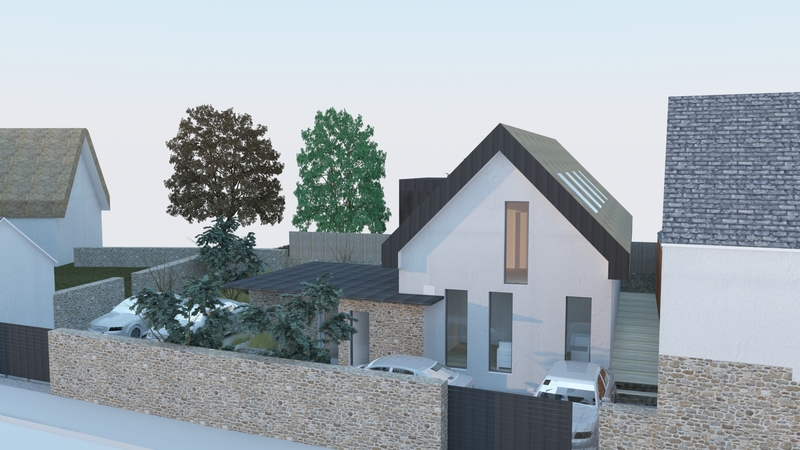 The challenge was to create a home that complemented the street scene, yet can clearly be seen as a new and valued addition. 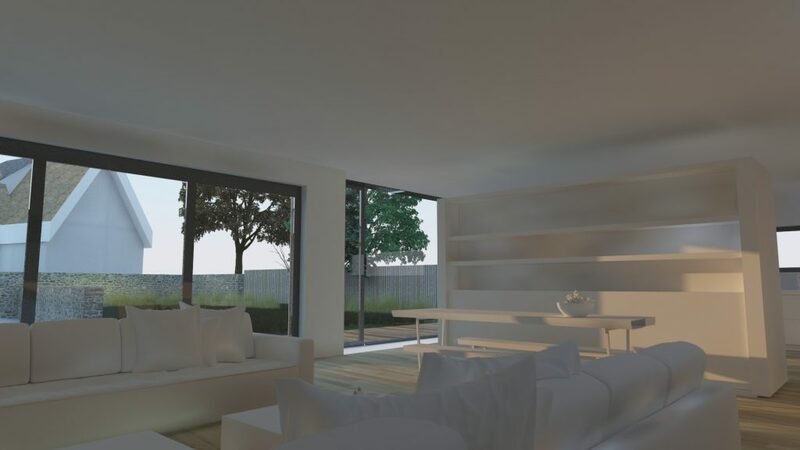 Internally, the bespoke home features everything you would expect within a modern 4-bedroom home: open-plan living, light and airy spaces, and low energy usage. 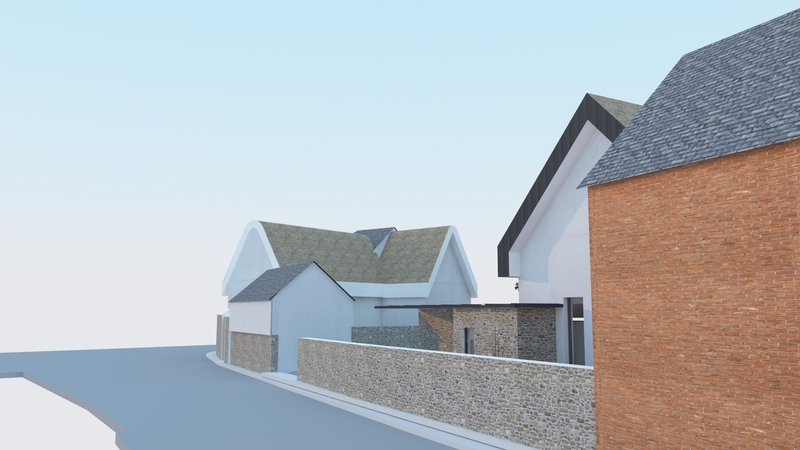 The key to the external design solution is to use traditional recognised materials from the street scene. Our solution applies these with a simple, yet contemporary twist. 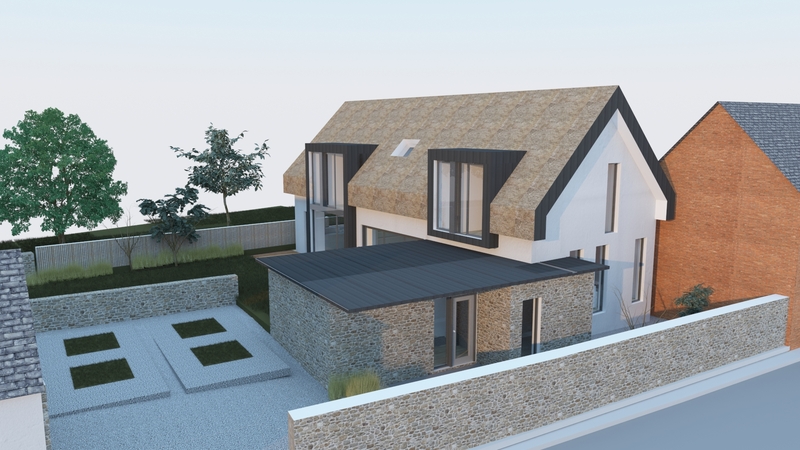 This is clearly shown in the roof design of a stunning sculptural thatch, featuring sharp edges and clean lines. To solve the ever present problem of parking, we have incorporated stacking underground parking lifts. Commonplace in high-end city centre developments, a welcome addition to beautiful rural villages.